Americans generate millions of tons of solid waste every year. Instead of sending the waste to landfills where they take up precious space, many types of waste material can be recycled into new products. For all of its environmental benefits, recycling isn't a perfect process and may present several negative effects for both consumers and the environment. Some recyclable products, including electronics and vehicles, include toxic materials or become contaminated with environmental toxins. This can endanger public health and require extensive decontamination to ensure the safe use of the final recycled product, according to the U.S. Environmental Protection Agency. The cost of collecting and processing recyclable materials can be higher than it would be to send the waste material to a landfill. 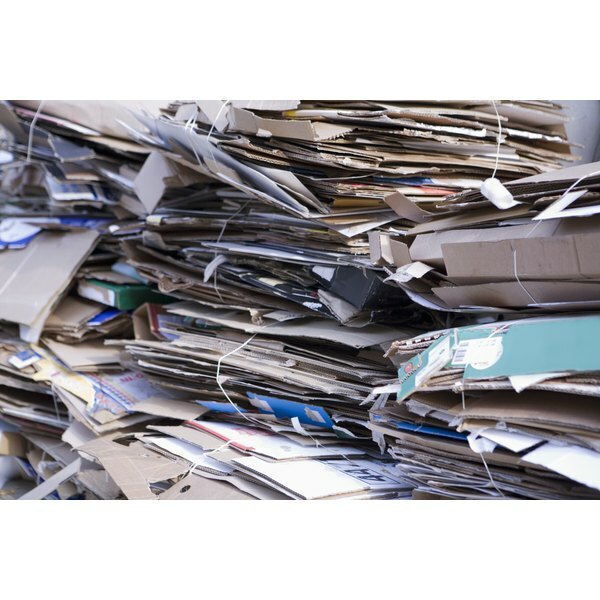 Processing costs may also run higher than the value of the final recycled product, according to the National Institute of Environmental Health Sciences. For example, in San Jose, California, the institute says it originally cost $28 to send a ton of waste to the landfill while it cost $147 to recycle the same amount. Similarly, the institute says the original launch of a recycling program in New Jersey's Atlantic County cost tax payers approximately $500,000 because the expenses related to collecting and sorting recycled waste was more than the final value of the goods generated from the recycled material. Although Harvard University says the manufacturing of a product from recycled goods emits less air pollutants and greenhouse gas emissions than making the same goods from raw resources, the recycling and processing of recyclables still generates pollutants and emissions. This includes the fuel burned by trucks collecting recyclables, as well as the energy and water expended during processing. Cutting consumption is more environmentally friendly than recycling. The goods being collected for recycling are not always of the same quality and may not be sorted properly. For example, high-quality office paper may be mixed with the poor-quality fibers found in newsprint, or different glass containers may break and result in a mixed glass mixture. This may result in downcycling, according to the Wisconsin Department of Natural Resources, leading to potential poor quality end results, unmarketability and a loss of public confidence in recycling.